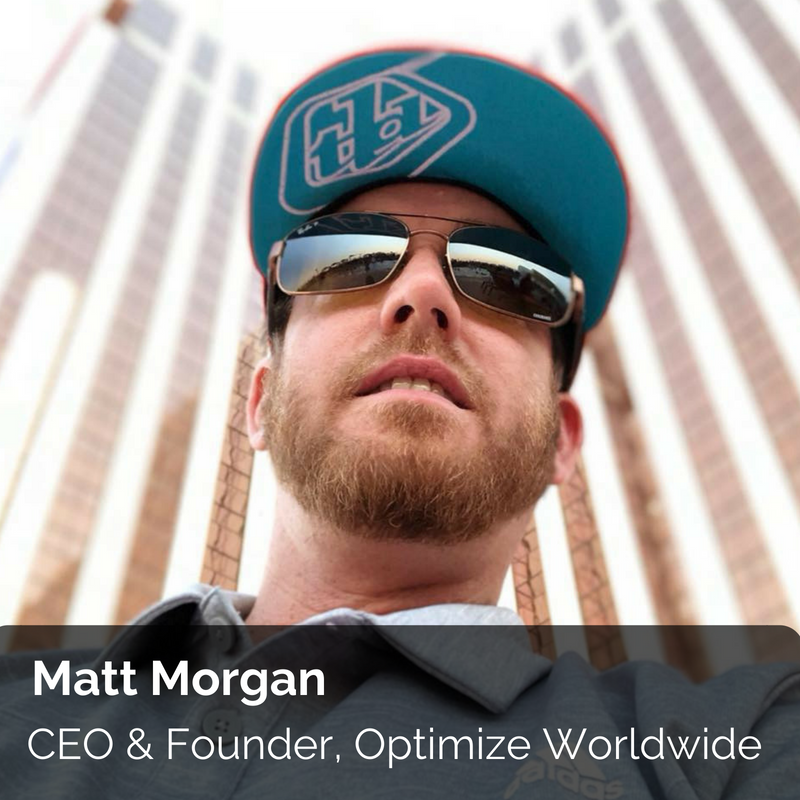 Matt Morgan is the CEO & Founder of Optimize Worldwide, Inc., a full-service marketing agency based in Northern California. 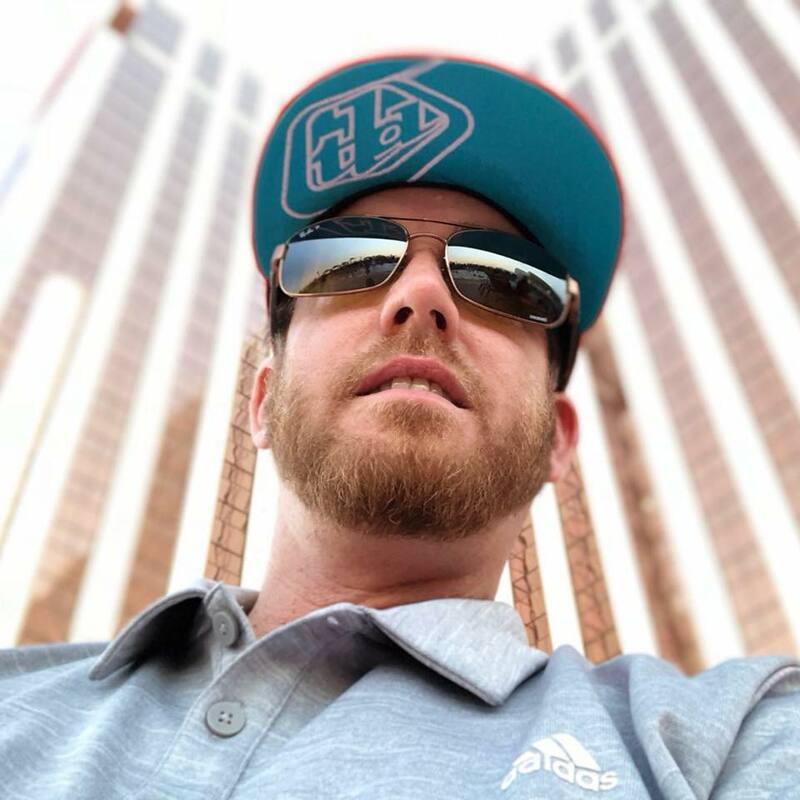 Matt and his team of experts help small businesses across the nation build mobile response websites on secure servers, gain traffic from SEO and digital advertising efforts and ultimately get their phones to ring. Matt enjoys travelling up and down the West Coast racing dirt bikes on national motocross tracks. I started learning and understanding SEO back in 2004. My clients would think that “if you build it (website), they will come!” I studied the websites that were showing in search engines and implemented similar strategies. I was introduced to the larger corporate SEO strategies working at a national corporation with an unlimited budget. That was fun! Since then, I’ve always found SEO fascinating and stay on top of the latest trends by reading articles like this one. How do you think SEO strategies have evolved in the last 10 years? The world of SEO has changed dramatically over the last 10 years. There was a time when SEO companies were getting away with spinning content, firing up blog networks, outsourced backlinking and manipulating the search engines with some creative engineering. I never really liked those shortcut strategies as I knew it would only be a matter of time before another Google algorithm would release to combat spammy techniques. I’ve always stuck with the basics and focused on a user-friendly web design, great content, technical optimization and good old-fashioned link-earning. In the last few years, SEO has seen more technical requirements affect rankings, such as security, page speed, the accuracy of business listings, reviews, usability and engagement. Optimize Worldwide, Inc. specializes in website design, SEO and digital advertising (and everything in between). We love WordPress but can work on just about anything. Our clients span across the United States and we cater to service-based industries utilizing SEO and digital advertising to drive traffic and make their phones ring. What strategies according to you have prevailed this year for SEO? 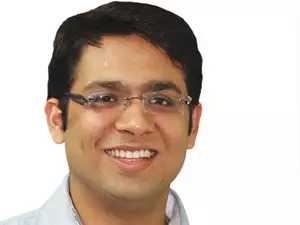 I believe technical optimization will be a huge factor in which websites show up at the top of the search engines, more specifically, a mobile responsive design that is secured by an SSL certificate on a fast loading host with easy to use navigation. Users want information now and don’t have the patience to wait for a site to load. They also want the information easily accessible. If you do those things right, the next factor will be whether or not the content is actually relevant to what they want. I expect time on site, user behaviour, bounce rates, and even retargeted advertising click-through-rates will all play a role in the relevancy of a search result for each individual user. Read and subscribe to the well-known SEO blogs, follow influencers in the industry and be sure to consider the source of strategies you read. There are a lot of regurgitated, out-dated strategies floating around online. I learned a lot from running experiments. Test new strategies with throwaway landing pages and record each step along the way. When you complete your experiment, write about it and share the results with the SEO community. You could find yourself published in a major SEO blog.